I got these done to honor my nephew who died on 1/5/2012. 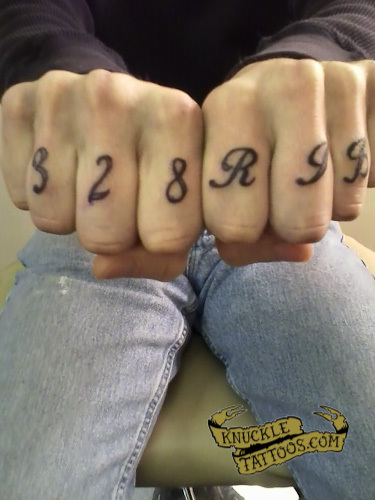 He was a police officer, so I got his badge number 328 on my right hand, RJB are his initials on my left hand. The tattoo was done the day after his funeral 1/9/2012.